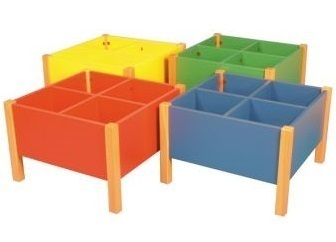 Our eye-catching coloured kinderboxes are also available in multiple colours and wood finished with Beech's legs. Comes with four internal storage compartments. Designed for classroom use and delivered in 15 - 20 days.